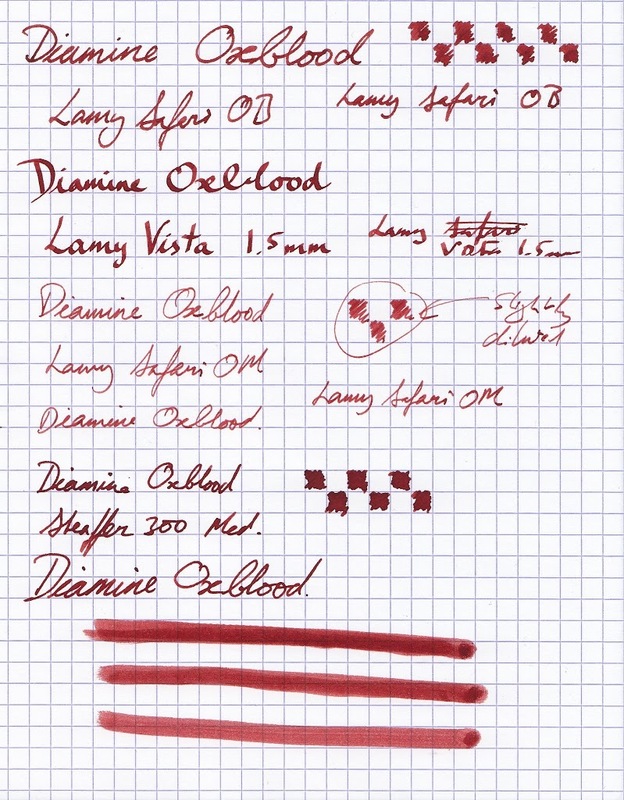 Lamy Safari and Vista with OM, OB and 1.5mm italic nibs. The OM and OB were used in my Evergreen review. The Vista is relatively wet and the Sheaffer is probably the wettest pen I own. 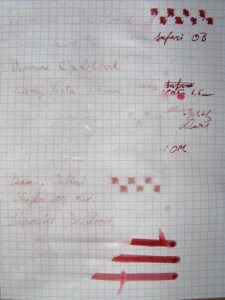 Rhodia Bloc No. 16, 5×5 grid. Also a scrap of generic copier paper for showing bleed through. 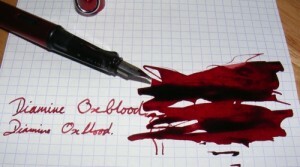 Like any ink the wetness of a pen will affect how this ink looks; unlike Evergreen I don’t really like the product of a dry writer. 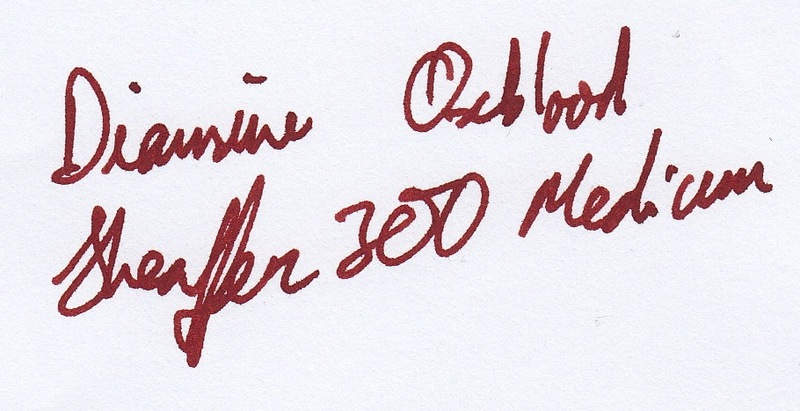 The line from the OM nib is an insipid pink rust colour. It really needs a wet nib to do the ink justice. 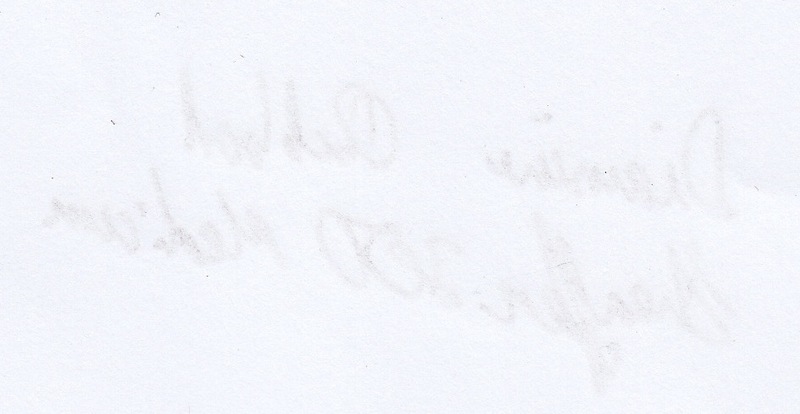 It more or less holds itself together even from a wet pen on copier paper, and doesn’t bleed through badly. Superb, with lubrication just a hair less than Evergreen. Very nice. 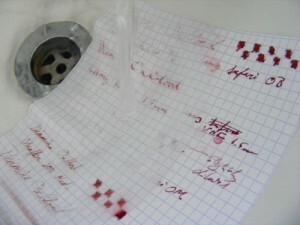 Despite the poor water resistance the ink took a while to flush out completely, but it didn’t stain. Generally OK.
Everyone seems to love Oxblood. I think it’s a great colour but it’s not as versatile as Evergreen owing to the performance in dry nibs. 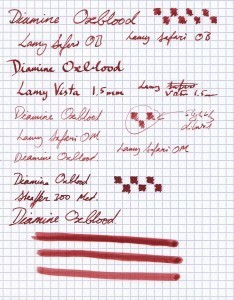 For a drier pen I’d choose Red Dragon which is similarly dark but has more character when thinly laid on. But that’s just my preference. 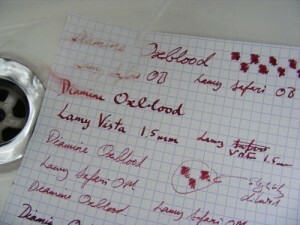 Verdict: a very appealing colour that will get regular use in a limited number of pens.